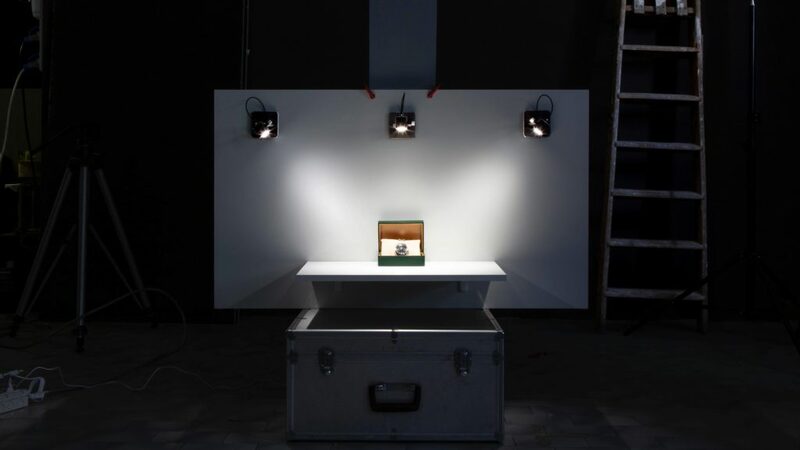 Relio² is a state-of-the-art professional lighting solution, aiming at those who work with light and need a calibrated, modular light source that is extremely similar to Sunlight. The concept stands out trough its extreme color rendition and the smallest, most versatile form factor in the world. 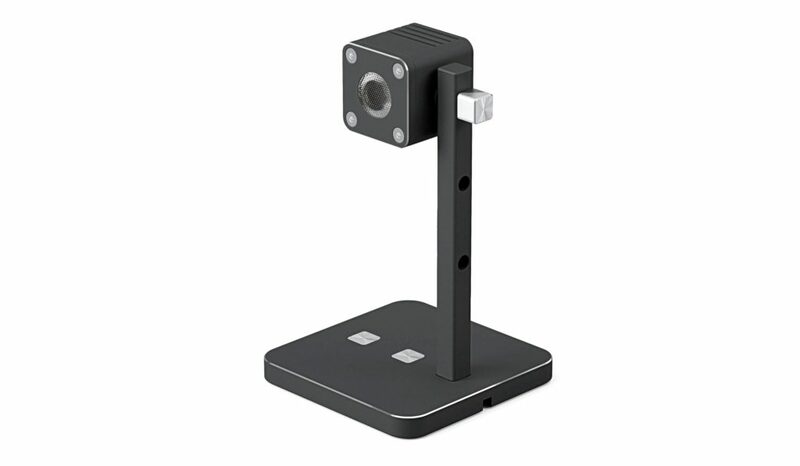 It’s a combination of perfect color balance, very high intensity and sharpness. 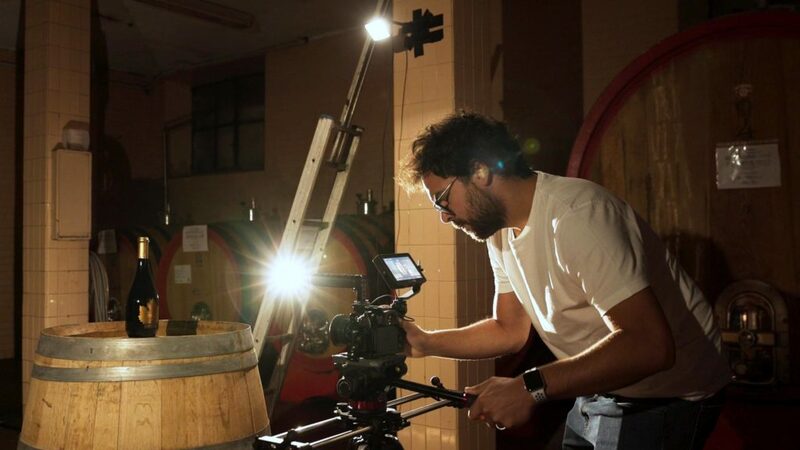 The instrument is engineered to be the holy grail for film, photography, artisans, researchers and creative minds and renders colors just like Sunlight does. The light of the Sun, always in your pocket. The light of the concept brings forth extreme color fidelity – up to 98% native TLCI. This makes Relio² truly unique in its kind. In addition, light quality is guaranteed by making full spectrometric data publicly available to download. The light normalisation LUTs enable Relio² to reach 100% virtual TLCI, what is unequalled in todays market. The versatile Relio product offers a million uses, where color really matters. See how Relio² helps People, Companies, Museums and Academies in their color-critical projects. To make the concept even more appealing, Relio is the first manufacturer to offer official, 3D-printable accessories for their Relio² Illuminator to download for free. They are anticipating a future trend: repurposing technology to make it more sustainable. 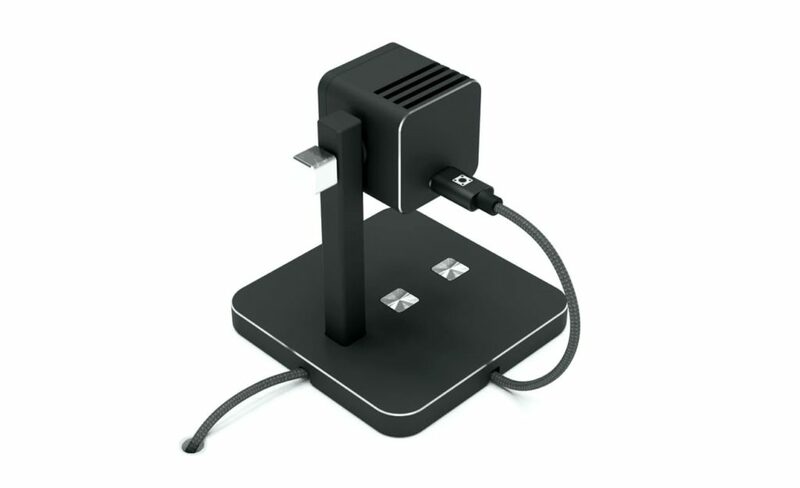 3D-printing allows in-house fabrication of already-engineered Relio² accessories. Relio releases all its accessories under a Creative Commons CC-BY-4.0 license, to enable its users to build upon, improve, manufacture and even sell the items they have build with no limitations. “The Best Accessories you can Buy: The Ones you don’t have to Pay for”. 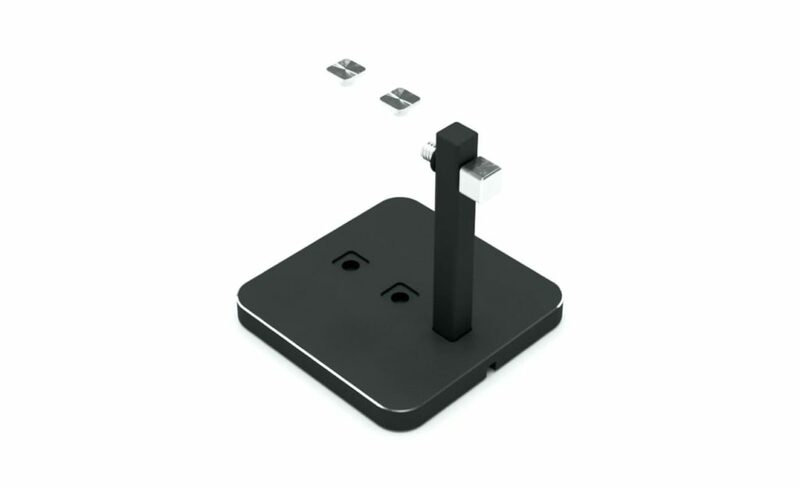 It is very well possible that one will be using Relio² for something that the developers had not anticipated. The Relio team is eager to share the source-codes of the reference socket to enable new innovation. It’s a valid starting point to build compatible add-ons. Feel free to engineer your own accessory! The Relio team would be delighted to add your accessory to their collection, along with your story… and glory! Recently, we had the opportunity to share our views on the topic of the future of 3D printed lighting for the Lighting Industry. 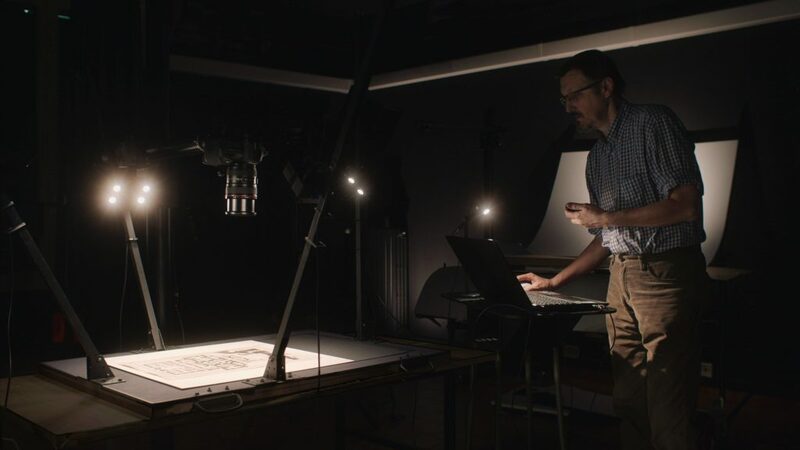 Marco de Visser – Editor in Chief for 3DPrinting.Lighting shared his views for an article written by Lighting Journalist Craig DiLouie for the April 2019 issue of tED Magazine, the official publication of the NAED. 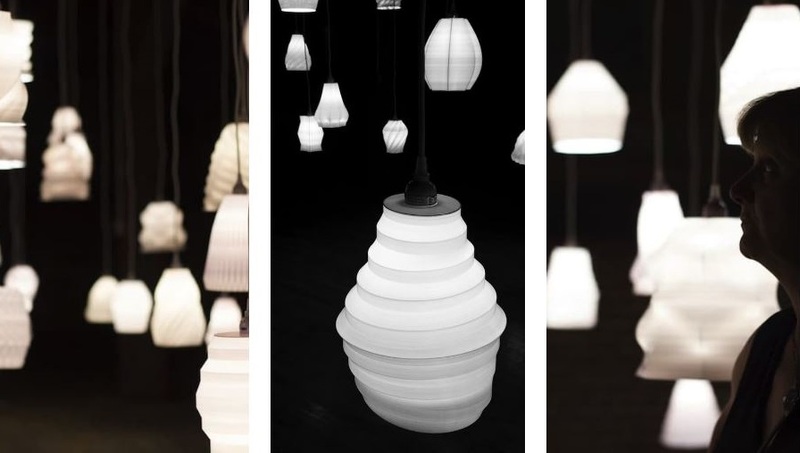 If you are concerned how 3D printing will affect your position in the Lighting Business, please take a moment to read the full article at the LightNow blog. 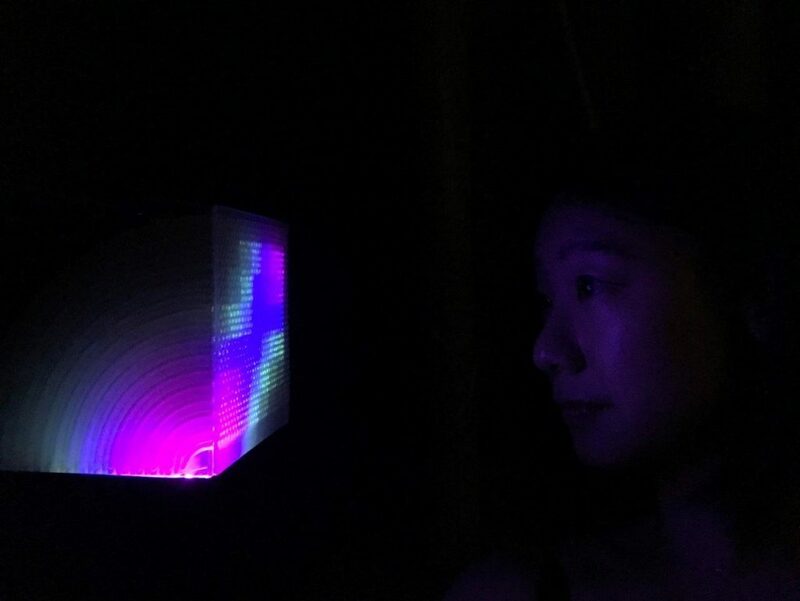 Glow Box, a project by Yeseul Song & Michael Simpson, is a 3D printed hybrid object which imbues life into the object by displaying a real-time visualization of a neural network as it works to solve problems. The installation exploits the organic-like nature of the neural network algorithm and combines this with the almost magical ability of the physical object to appear illuminated without apparent electricity. The result is something which blurs the distinction between real and virtual imploring the viewer to question this distinction altogether. Nature has inspired mankind as longack as history is recorded. 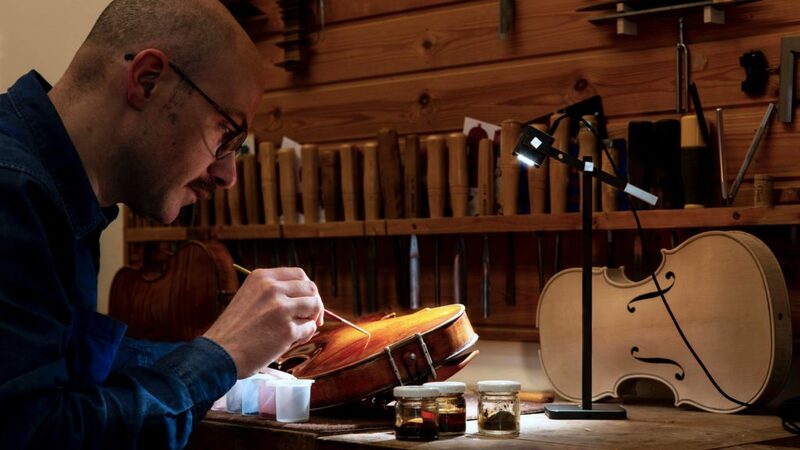 Among other things, our tools, techniques, and even aesthetics derive so much of their form and function from the clever decisions arrived at through centuries of evolution. In more recent years, Nature has become a direct source of strategy for designers and researchers tackling some of the world’s most challenging problems. The neural network, a core component in deep learning, is no exception to this grand tradition. In their simplest form, a neural network models the high-level behavior of neural perceptrons. Essentially, they implement the basic functioning of a living brain. This technique has become invaluable in resolving problems that were once extreme challenges to quantify and compute. But, categorically, what is a neural network? What do they look like? Do they think like we do? The ubiquity of these AI techniques begs for a more critical and creative understanding of the algorithms themselves. This project strives to do so by presenting viewers with a real-time window into the mind of a neural network as it repeatedly attempts to prove a simple equation. In particular, Glow Box evokes curiosity and, potentially, a questioning of the role for analog-digital hybrids as they inch closer and closer toward invalidating accepted definitions of sentience and free will. In particular, Glow Box evokes curiosity and, potentially, a questioning of the role for analog-digital hybrids as they inch closer and closer toward invalidating accepted definitions of sentience and free will. 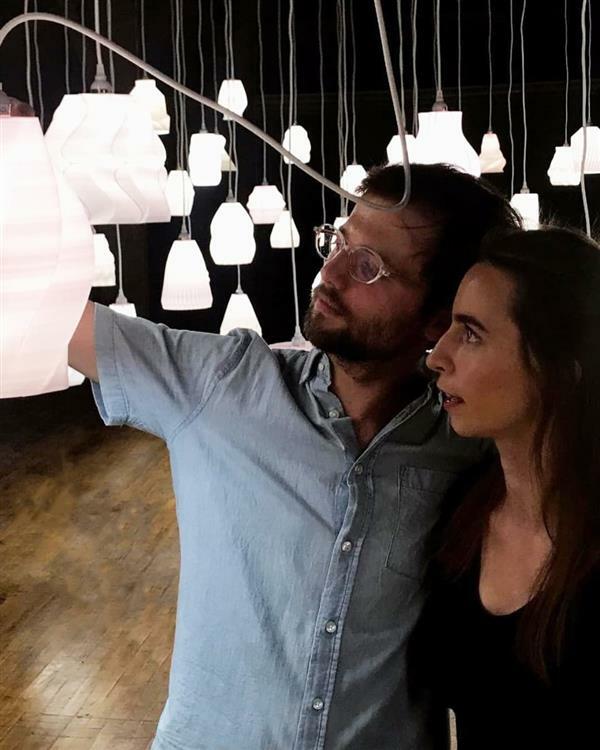 The installation exploits the organic-like nature of the neural network algorithm and combines this with the almost magical ability of the physical object to appear illuminated without apparent electricity. The result is something which blurs the distinction between real and virtual imploring the viewer to question this distinction altogether. The cube itself was algorithmically designed and then fabricated using Stratasys Polyjet 3D printer. The cube has dimensions of 6” x 6” x 6” and is printed in optically clear material (Vero Clear) which exposes the object’s internal structure. On the contrary to optically clear print resins, that may result in printed optics or other geometrical shapes with a fully transparent internal core and a smooth surface finish, the higher haze values of the Vero Clear materials are utilized to absorb the emitted light. Inside the walls of the object, a matrix of conduits curve to connect the cube’s bottom surface to the front-looking face of the object. These conduits hold thousands of strands of optical fiber which redirect light from beneath to be emitted from the front. 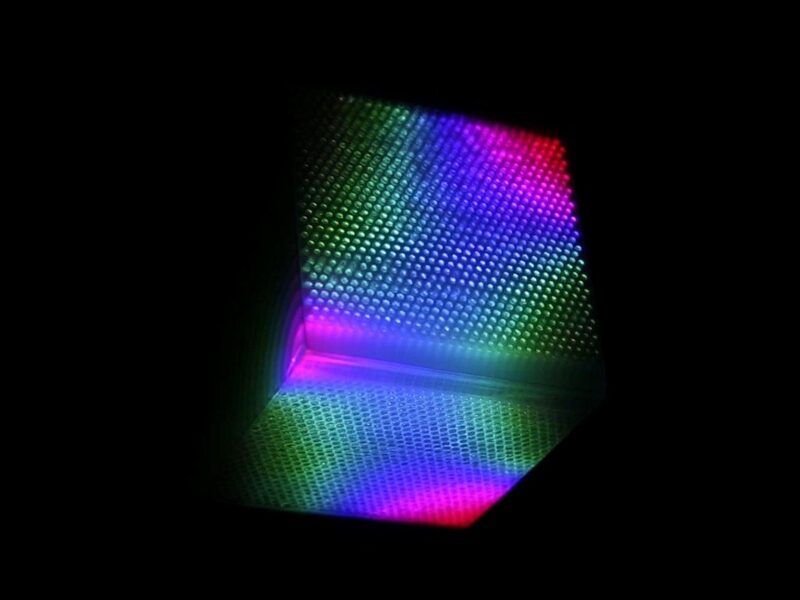 This allows the analog object to serve as a sort of display when an image or animation is projected onto the cube’s bottom. Images/videos from the preliminary 3D Printing research by the artist are found here. How will 3D printing affect my business? This question is being asked by companies in several industries, especially those involved in the manufacturing process. A diverse group of companies came together last month to discuss and better understand the impact of 3D printing in the lighting industry. 3D printing, also known as additive manufacturing, is already being used in several industries to augment conventional manufacturing. 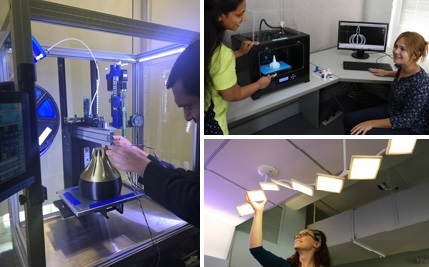 The discovery workshop, organized by the Lighting Research Center (LRC) at Rensselaer in partnership with Carbon Group Global, was designed to understand the impact of 3D printing across all areas of buildings and construction, and especially its impact on lighting. A group of industry leaders focused on how to best assimilate 3D printing with the lighting industry, the mutual benefits to all stakeholders, and the implications to and the impact on the existing ecosystem. The group will soon embark on developing an industry roadmap to make additive manufacturing a viable option for the lighting, building, and construction industries. The potential benefits of 3D printing include the ability for manufacturers to create custom products that are uniquely designed for spaces to be illuminated. Fixtures could be printed on-site and on-demand, benefitting the user/customer, the manufacturer, and the local construction industry. With 3D printing, the manufacture of individual lighting components, such as heat sinks, electrical traces, and led optics, could be customized, enabling the design of parts that cannot be manufactured today by traditional methods, improving both aesthetics and functionality. 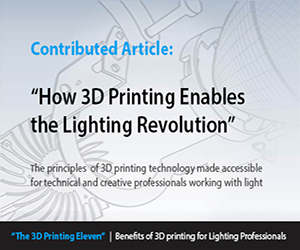 Research is still needed to advance the integration of 3D printing into the lighting industry, beyond the current prototyping stage. 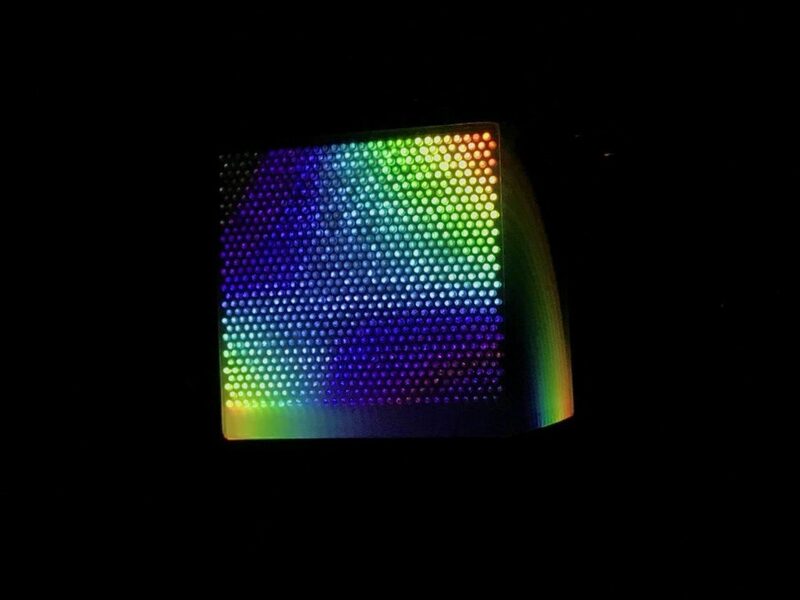 To date, the Lighting Research Center has conducted initial investigations into the potential for printing thermal, electrical, and optical components. 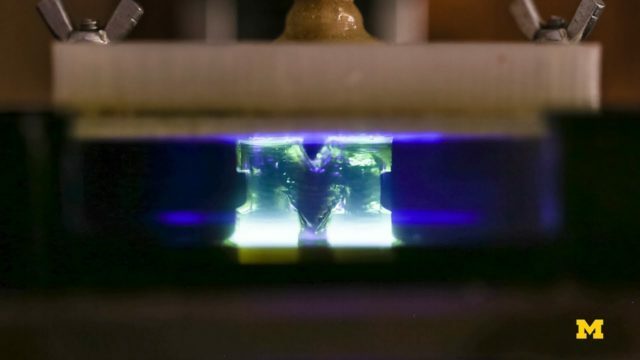 A new, unconventional approach by Michigan University to 3D printing creates stunning results in an up to 100 times faster 3D Printing process. The newly invented methodology was recently reveiled and rather than building up plastic filaments layer-by-layer, it lifts complex geometrical shapes from a bath of liquid resin at up to 100 times faster 3D printing than conventional printing processes do. Here are some deeper insights. 3D printing could potentially change the game for relatively small manufacturing jobs, producing < 10,000 identical parts. It would mean that the objects could be made without the need for a mould tool, coming with a significant upfront investment. But the most familiar forms of 3D printing, which are sort of like building 3D objects with a series of 1D lines, hasn’t been able to fill that gap on typical production timescales of a week or two. Scaling towards larger volumes has only been possible by multiple printers in parallel, each of them duplicating the same approach, what is not very efficient. 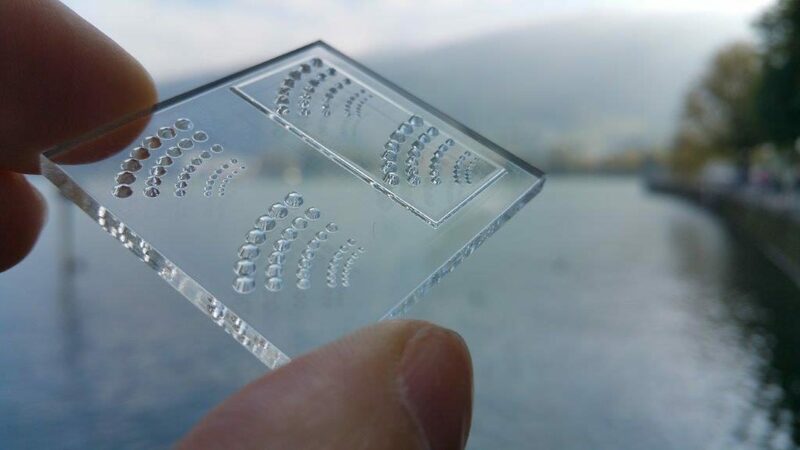 As far as we are aware, it’s been thus far only the process of 3D printing optics, that has basically evolved from UV-inkjet printing, that can produce parts at such high speed and has the potential to scale to larger manufacturing quantities. This process, however, is fully tailored for additive fabrication of custom optics and Optographix and does not offer commercial solutions for other markets, as far as we are aware. 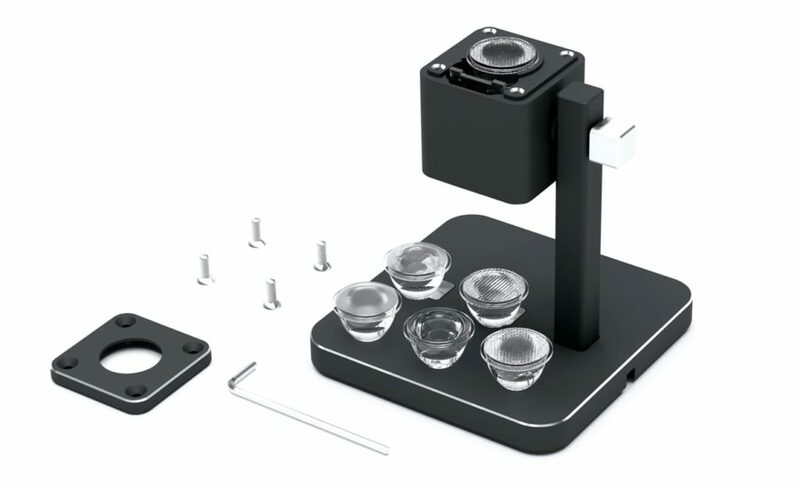 The Michigan University method solidifies the liquid resin using two lights to control where the resin cures – and where it stays liquid. This enables the team to solidify the resin in more sophisticated patterns. They can make a 3D bas-relief in a single shot rather than in a series of 1D lines or 2D cross-sections. By creating a relatively large region where no solidification occurs, thicker resins – potentially with strengthening powder additives – can be used to produce more durable objects. The method also bests the structural integrity of filament 3D printing, as those objects have weak points at the interfaces between layers. By replacing the oxygen with a second light to halt solidification, the Michigan team can produce a much larger gap between the object and the window – millimeters thick – allowing the resin to flow in thousands of times faster. The key to success is – like in many other (3D) printing processes, the chemistry of the resin. In conventional printing systems, there is generally only one material reaction. 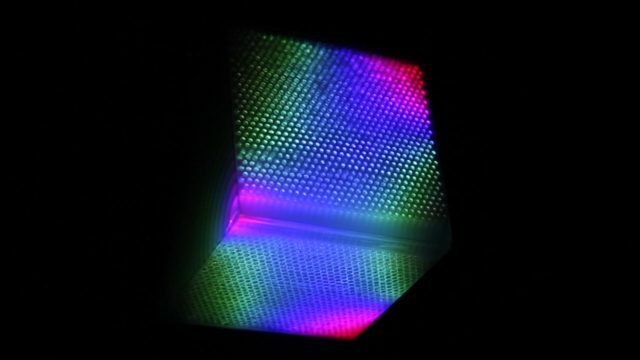 A photoactivator hardens the resin wherever light shines. In the newly invented Michigan system, there is also a photoinhibitor, which responds to a different wavelength of light. As described before, the process invented by Michigan University reminds us very much about the invention of ‘Printoptical Technology’ (3D printed optics) by Luxexcel back in 2009. 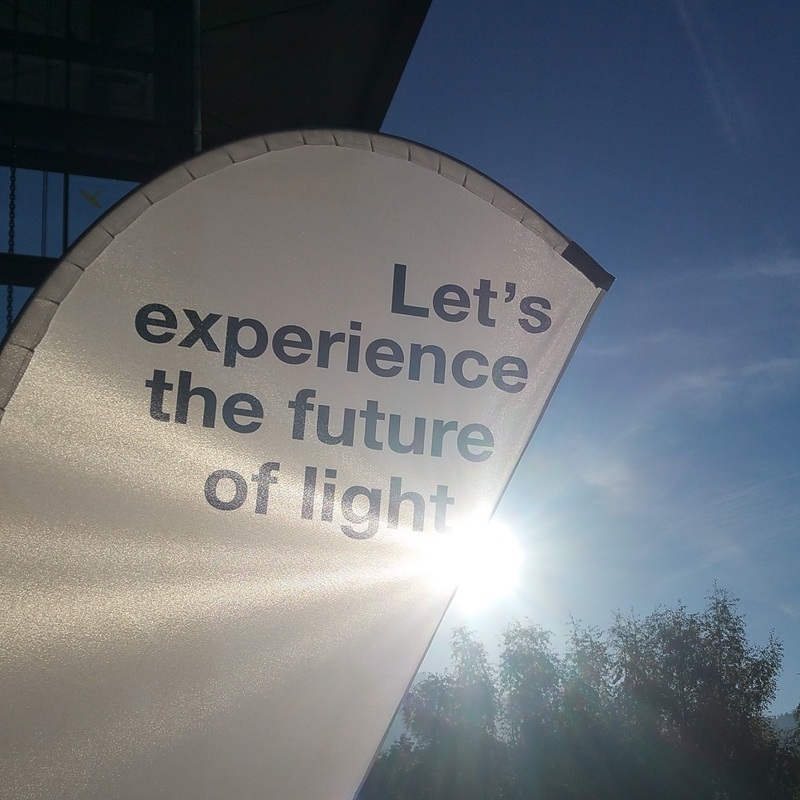 We are greatly interested to learn whether this novel approach would bring new approaches and/or synergies to the table, especially related to applications in the Lighting Industry. In any case, we will be following the developments around the innovation with great interest! 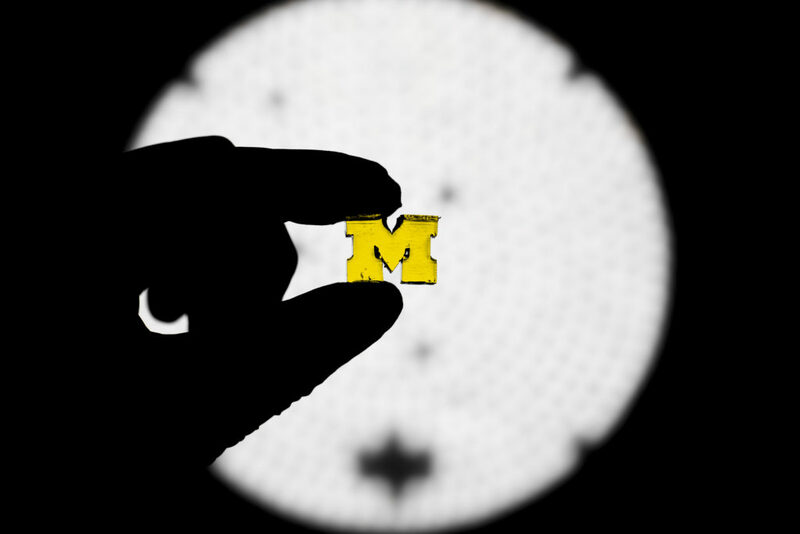 Video and images courtesy of Evan Dougherty/Michigan Engineering. This post was kindly inspired by a previous publication from Michigan University. 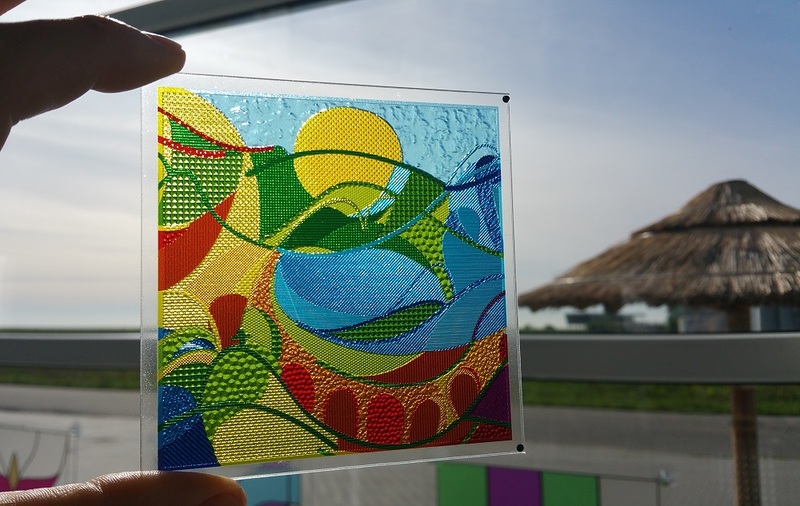 Luximprint, a Dutch multi-market service provider for 3D printed optics, chose the 2018 LED professional Symposium and Expo as the springboard to launch its novel fabrication services for decorative and optical 3D printed plastics. 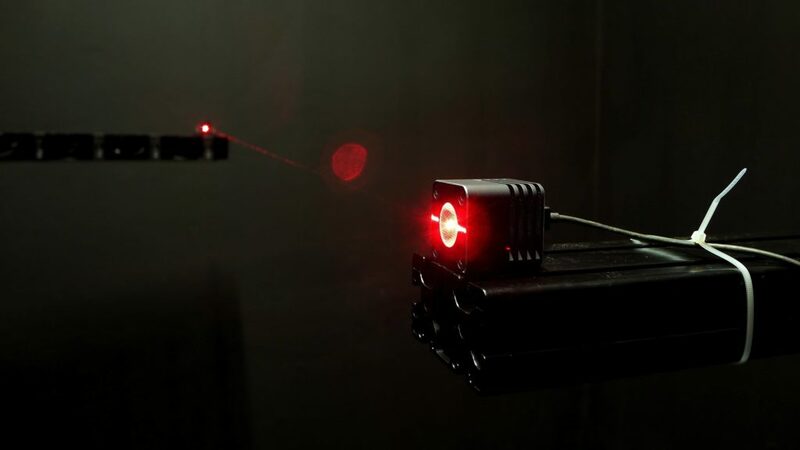 Light engineering and design professionals in need for fast, flexible and cost-effective optics solutions can now take benefit of the unique advantages Additive Optics Manufacturing technology offers for new lighting system design and development. Choosing ‘LED professional Symposium + Expo’ along with the co-located ‘Trends in Lighting’ event as a launching platform has been a strategic decision for Luximprint. 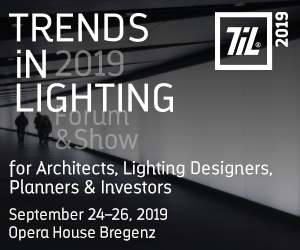 Among the European Lighting events, LPS and TIL take a leading position in bringing the latest strategies related to new technologies and digitization closer to market professionals. 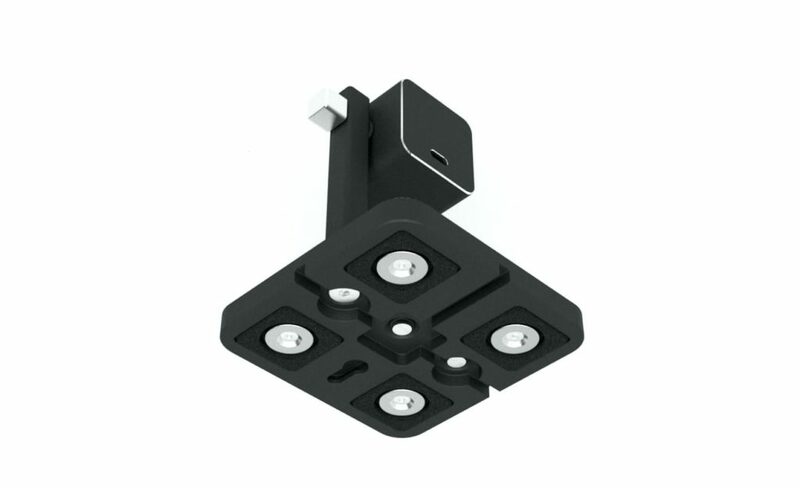 It provides both engineers and designers of lighting systems a unique platform for new fixture development. “Presence of digital manufacturing technologies is key, as it significantly contributes to improved system engineering and finally a healthier industry”. 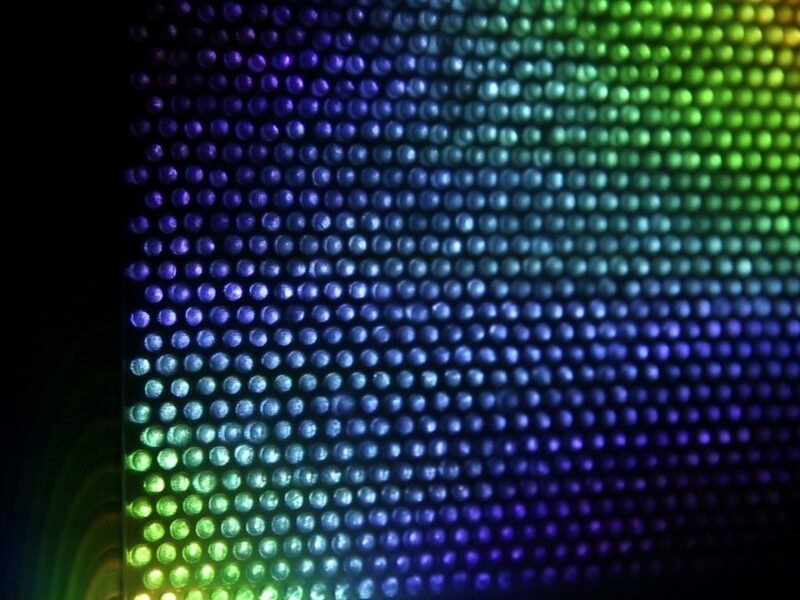 Printed optics has come a long way in the lighting industry. 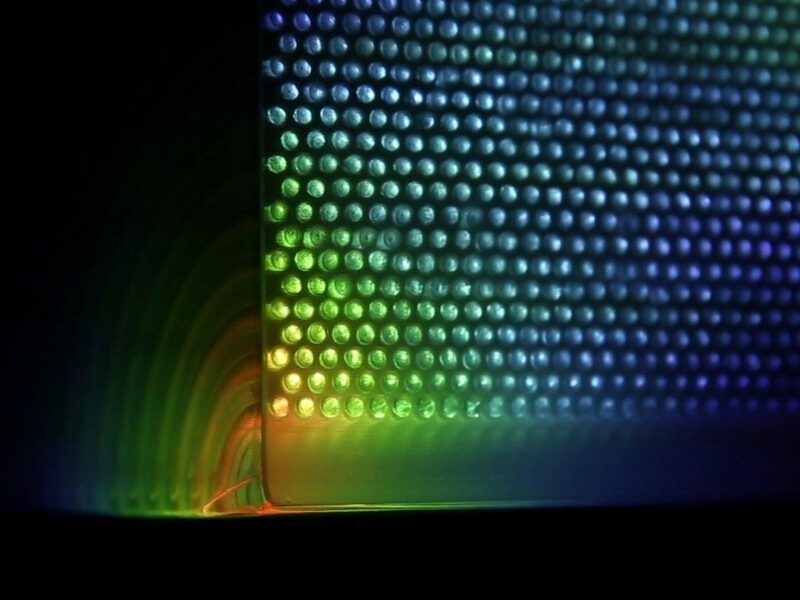 Additive Optics Fabrication, marketed over the recent years by Luximprint, is a future-proof methodology of rapid prototyping custom LED optics by means of digital fabrication technologies. 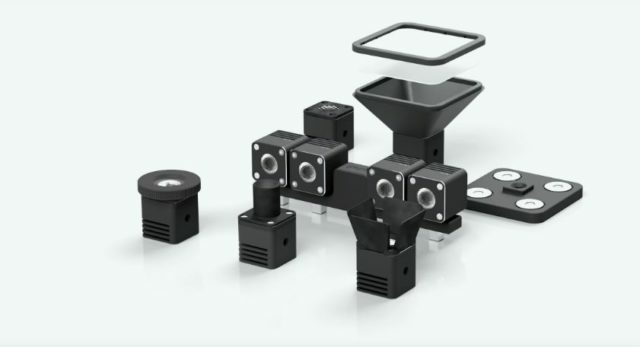 Direct ‘CAD-to-Optic’ manufacture avoids costly and uncertain commitments related to conventional optics manufacturing processes in the early development stages, such as upfront tooling investments and minimum order quantities. 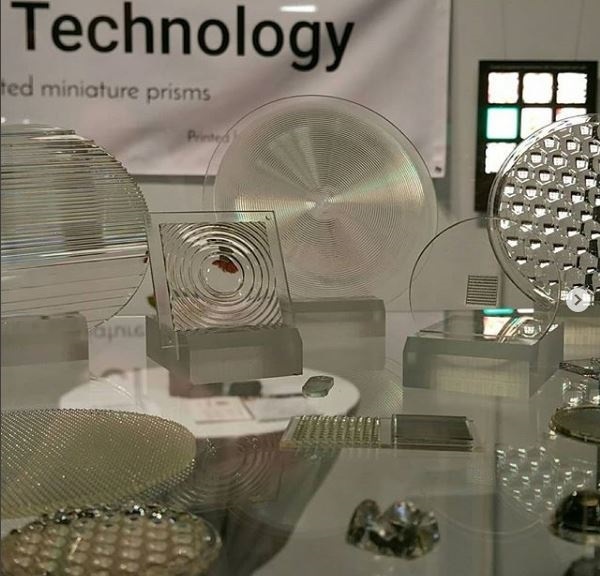 Printed Optics by Luximprint were introduced at LPS 2018 to an audience of lighting system designers and engineers. 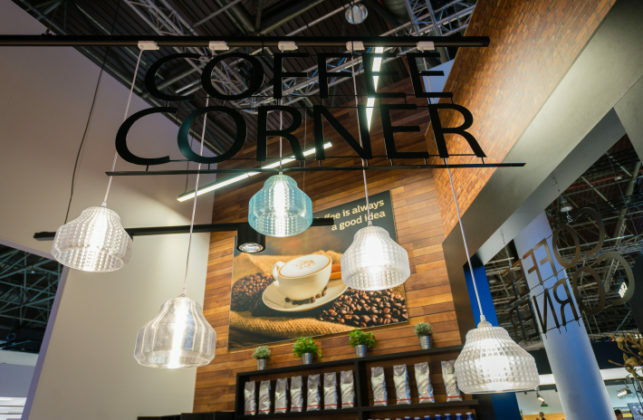 Printed products find their way find their way in a variety of engineering and (temporary) project applications, such as general lighting, (light) art, event- and interior design. Luximprint solutions serve mainly inspirational and functional demonstration purposes, as well as mold-/concept validation and pre-series fabrication. A colorful piece of artwork by Luximprint. 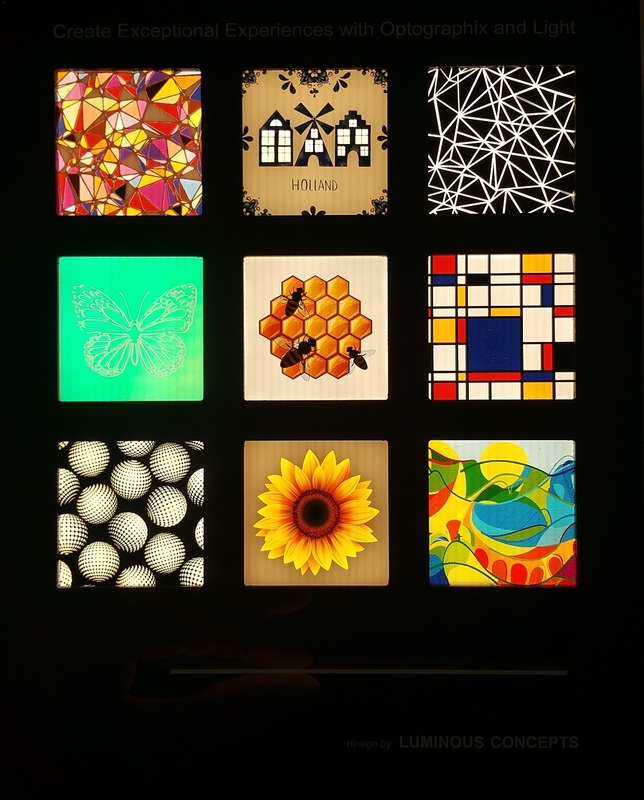 Optographix creates novel possibilities for light and interior designers. Optographix – compromised by full-color patterns and optical translucency – add value to artistry and design of spaces and are set to be a next method of translating a corporate or brand image by using a unique combination of 3D printing, optics and light. 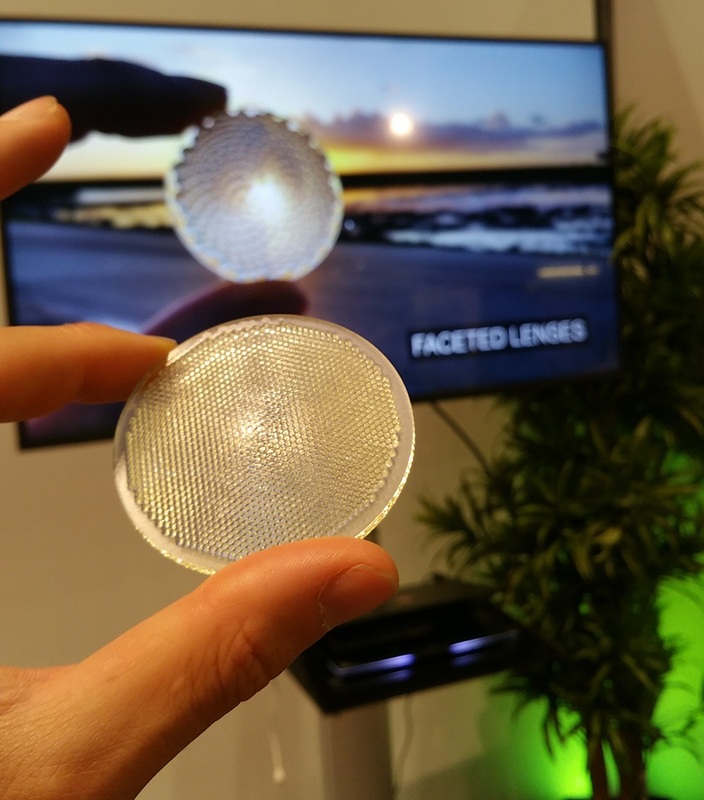 Faceted Lens Technology was one of the novelties Luximprint and Physionary introduced at LPS 2018. Listed for the 2018 LPS / TIL Award, Physionary provides a new revolutionary methodology for designers with light, enabling them to ‘put light where needed’. Physionary ‘Faceted Lens Technology’ greatly combines with Luximprint Additive Optics Fabrication Services as tailored lenses now can be made in a fast, flexible and cost-effective way. 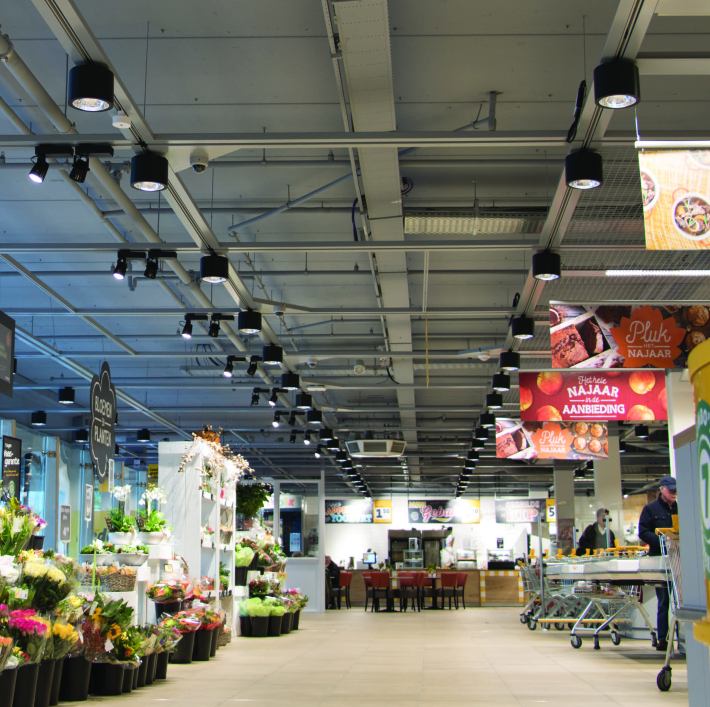 Above all, it provides anyone involved in the design and application of lighting systems with new tools for a more efficient and responsible use of light. Dutch Creative Design Firm Luminous Concepts created a colorful display showcasing the impressive Optographix capabilities of Luximprint. 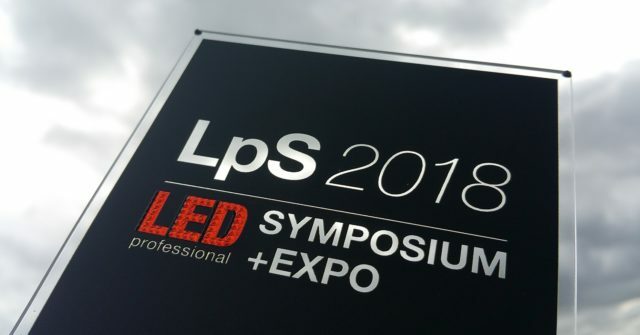 Luximprint shared a booth at LPS / TIL 2018 where it demonstrated its cooperative approach in additive optics design and manufacture for future lighting systems together with the team of Physionary. At 3DPrinting.Lighting, we’re watching both Luximprint and Physionary with great interest! Philips Lighting Telecaster is a new venture that is bringing the magic of 3D printing to architectural lighting. Initiated by Philips, the ‘print-on-demand’ technology and product configuration tools enable tailored custom lighting fixtures to be produced in new creative ways. Telecaster is evolving from years of initial 3D printing exploration and development. Various digital manufacturing technologies were adopted and discovered by the Philips Research team in Eindhoven, Netherlands. Philips Research optimized various 3D-printing technologies that dramatically increase the speed and lower the cost of 3D printing, finally bringing it into the reach of their volume luminaire lines. Telecaster is a new internal venture team, that was tasked to commercialize those efforts and explore the rich possibilities inherent in digital additive manufacturing. Here, you can think of new 3D printing materials, different form factors, as well as mass-customization services for tailored products. To date, Philips has developed numerous styles of fixtures: 3D-printed decorative pendants, track spots, downlights and even large highbay fixtures. Users are able to select from expressive geometric shapes and new materials textures to create combinations truly unique to any project. Unlike other 3D printing technologies, Philips Lighting Telecaster technology is ready for volume applications today. The new series includes various downlights, pendants and projectors in a stylish performance. 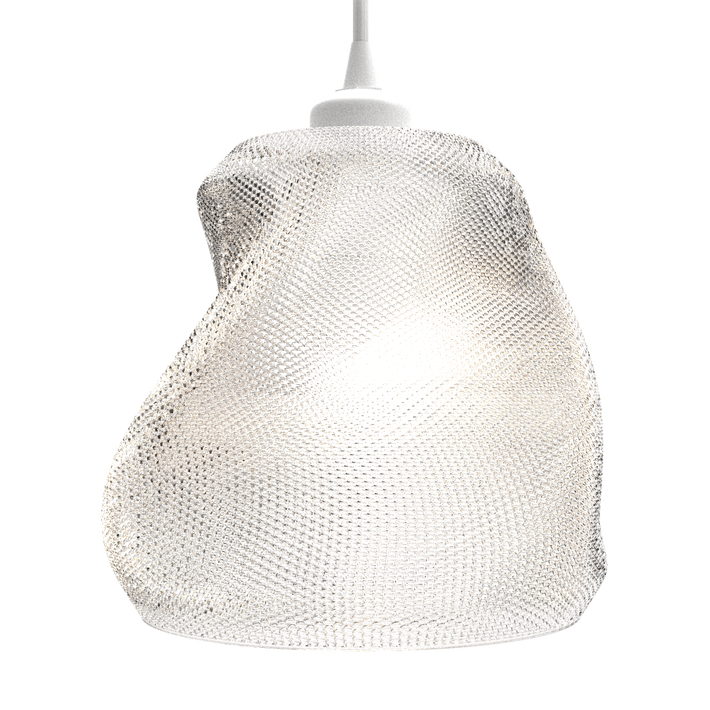 It seems, Philips finally found a way of adopting 3D printing technology to change and grow its future lighting business from the inside. We’re watching the interesting developments closely, hopefully there’s more news to launch soon! 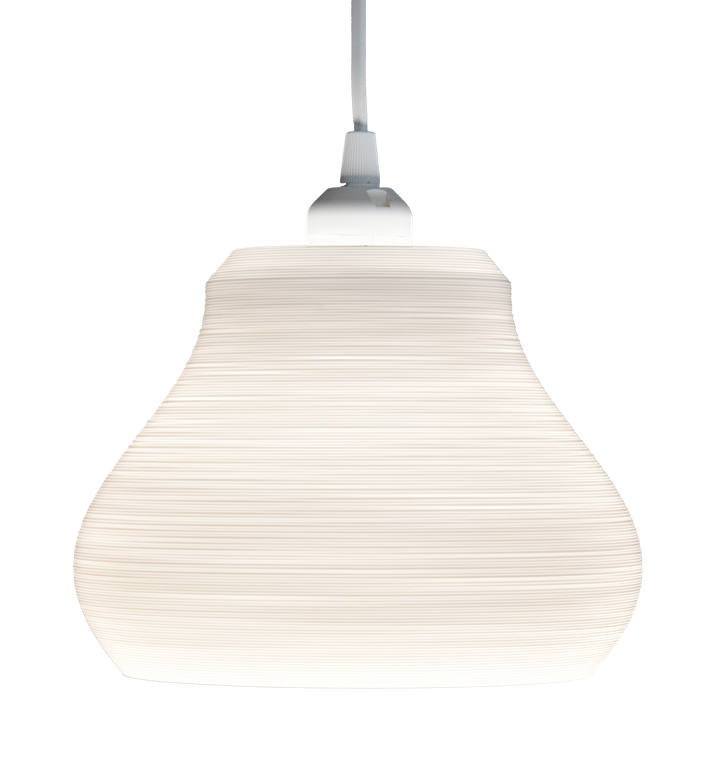 More information on the concept and availability at the Tailored Lighting Creations website. 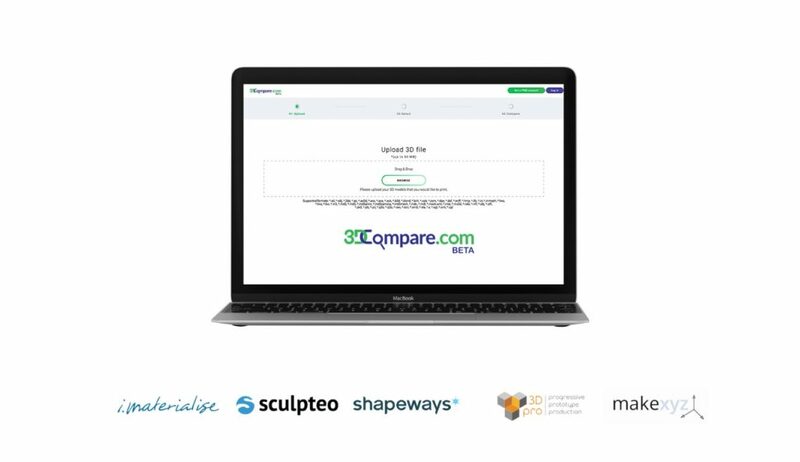 3DCompare launches the first professional comparison platform for 3D printing. Based in the UK, the portal matches companies in search for 3D printing solutions with verified, professional and established 3D printing service providers around the world. 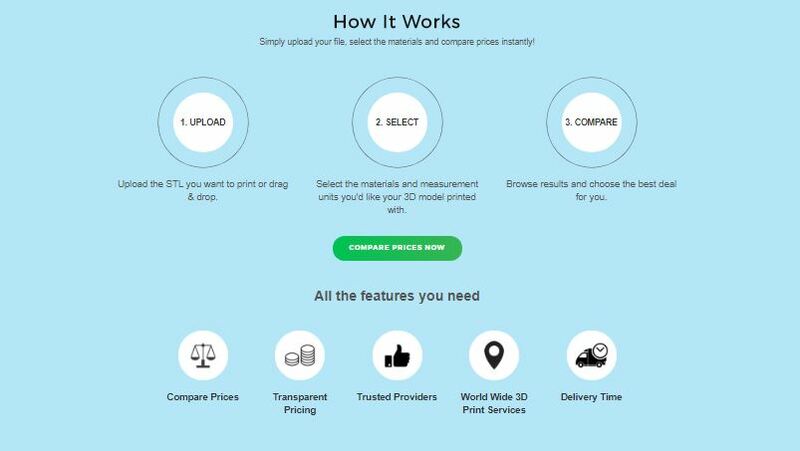 The Price Checker scans hundreds of 3D printing businessess and materials to help its users find the cheapest price for their prints. Active in North America and Europe, 3DCompare is rapidly expanding these days into a global network. The growing demand for 3D printing asks for novel platforms and solutions to ease decision making of a broad offering. Experts estimate that, in 2020, the 3D market will grow to 28.9 billion US dollars, coming from a level of 13.2 billion in 2016. Industries such as automotive, architecture and dentistry have realised 3D printing potential for cheaper and better quality objects. The 3DCompare database includes additive fabrication services of leading providers. Current partners include industry leaders such as iMaterialise, Shapeways and Makexyz. 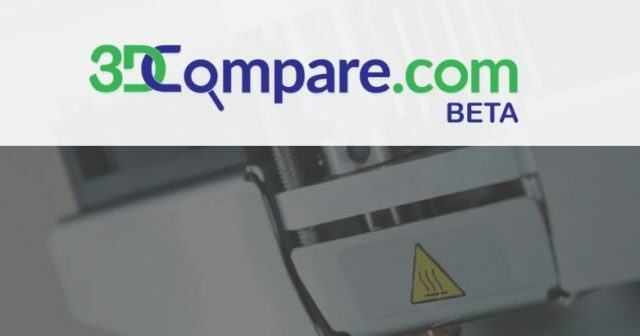 3DCompare users have immediate access to the latest range of additive manufacturing technology including Fused Deposition Modelling (FDM), Stereolithography (SLA) and Selective Laser Sintering (SLS), and a wide array of metals, plastics, resins and ‘multi-colour’ materials. Get your Best Available Offer! The 3DCompare database helps to select the best possible service for its users’ needs. Whether they want to compare prices, find out the shortest lead times, discover the best 3D Printing Materials, or learn about the shipping costs related to a particular job, any of 3D printing service providers listed in the portal is readily available to serve. The team of 3D Compare is continuously extending its database in order to get the best offering for their users’ project. We’ll be watching it closely and we are sure there will be more news to be announced in the time to come! ‘All of the Lights’ by Budmen Industries is an immersive light installation including 100 unique 3D printed lamps. It acts as a unified display of individualism. The project represents a bright future where individuality is celebrated and reflected in environments that are as unique and complex as we, human beings, are. The All of Lights installation redefines 21st century craft by combining art sculpture and digital fabrication. To attach a personal and human element to each of the designs, the designers decided to digitally sculpt each lamp shade by hand. During the process, a variety of form families appeared while the personality of each lamp remained unique. Following the designers’ unique approach, a great variety of different shades was created, each reflecting unique personalities. Some were symmetrical and had a pure geometrical appearance, while others were more gestural, feeling like captured motion. Or they were swirled and stretched into splendid spirals. A 3D printer creates objects layerwise. This process of stacking layers produces surfaces with striations similar to those seen on rock formations and tree bark. Printing with thick layers produces even more dramatic striations. Where for some applications the layering might be a limitation, the Budmen designers decided to see and use it as an charismatic feature of the process. The uniquely layered aesthetic is not only a process signature, but the object takes on an entirely new character when illuminated. Budmen Industries was founded by Isaac Budmen and Stephanie Keefe. 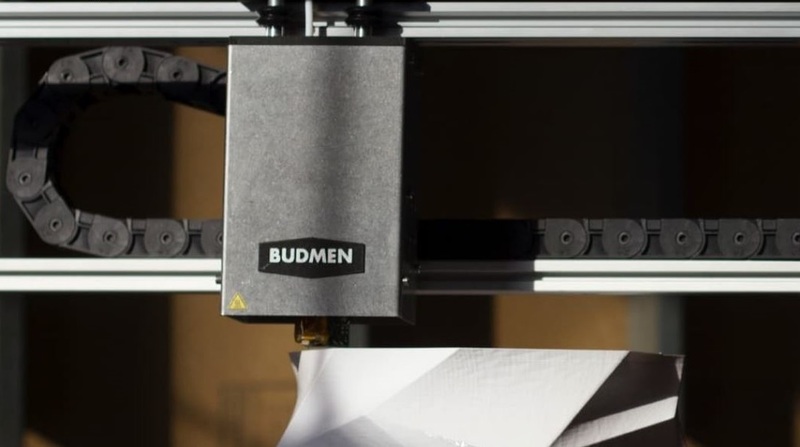 Budmen is an artist, designer and ‘lifelong inventor’ as he describes himself. His creative work exploring digital fabrication has been featured at leading museums and other venues. Isaac Budmen and Stephanie Keefe, founders of Budmen Industries, celebrating their work. Stephanie is an artist as well, pastry chef, and photographer. Her photographs have been exhibited and sold in NYC and Chicago. Together, they created Budmen Industries. All of the Light Project books – available for pre-ordering! 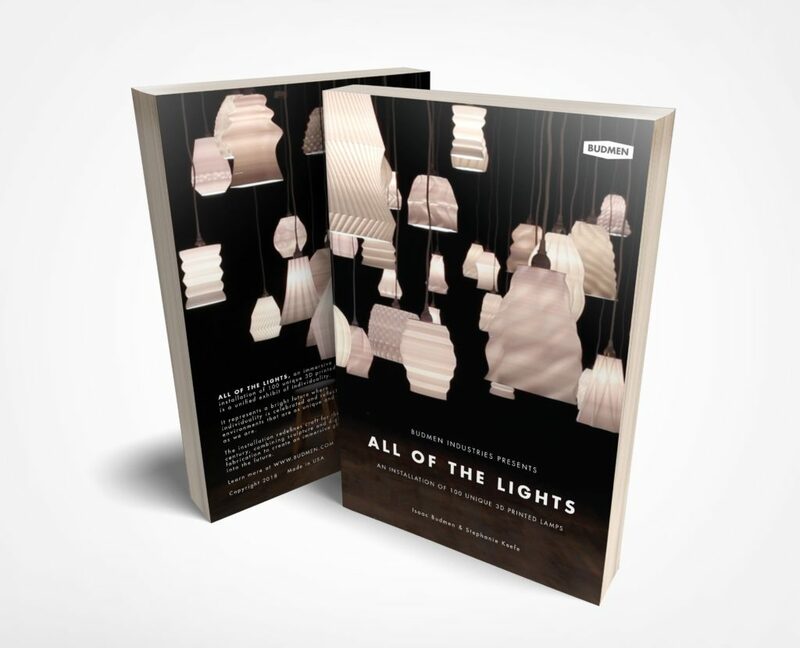 To celebrate the ‘All of the Lights’ project, Budmen released a special book on the immersive installation. Pre-order books are available for a special early-bird price, personalized and signed by the artists. Books will be shipped February 2018. Pictures in this post were sourced from the Budman website. 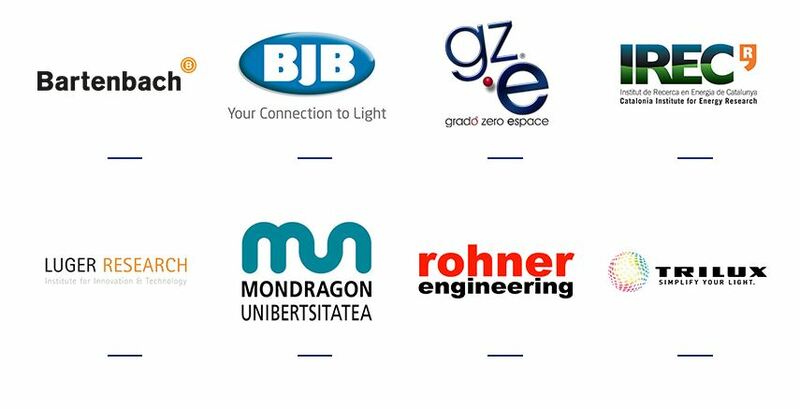 As part of the Horizon 2020 programme, an European project for re-usable and re-configurable parts for sustainable LED based systems was initiated by lighting industry leaders. Named ‘Repro-light’, it aspires to successfully initiate a transformation in the European lighting industry, with the ultimate aim of creating the ‘Luminaire of the Future’. We thought it would be good to write a brief update on it, as it will significantly affect our future and inspire our readers! 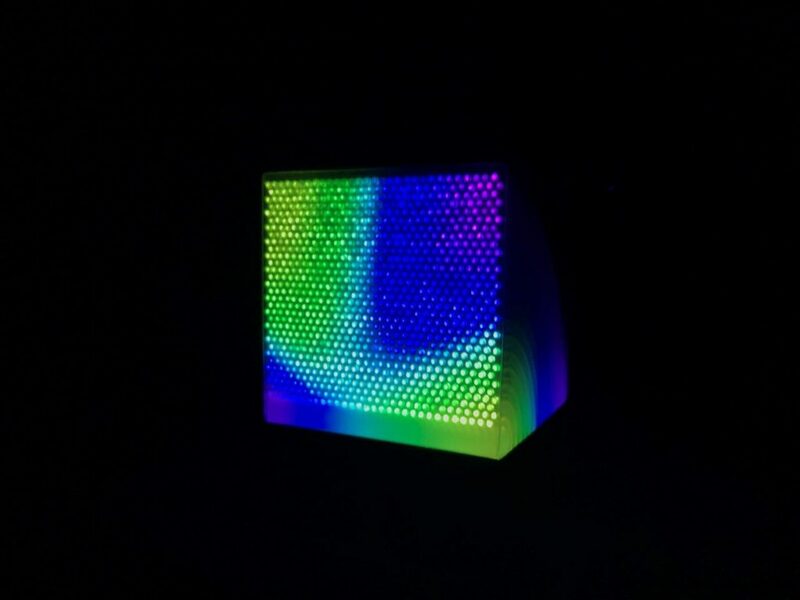 The Repro-light project harnesses innovative technologies and materials and aim to implement modular luminaire architecture as never attempted before. Called the ‘Luminaire of the Future’, it will include a smart production scheme and the development of a reconfigurable easily customizable LED luminaire. The Repro-light project is perfectly timed to capitalize and lead this transformation. 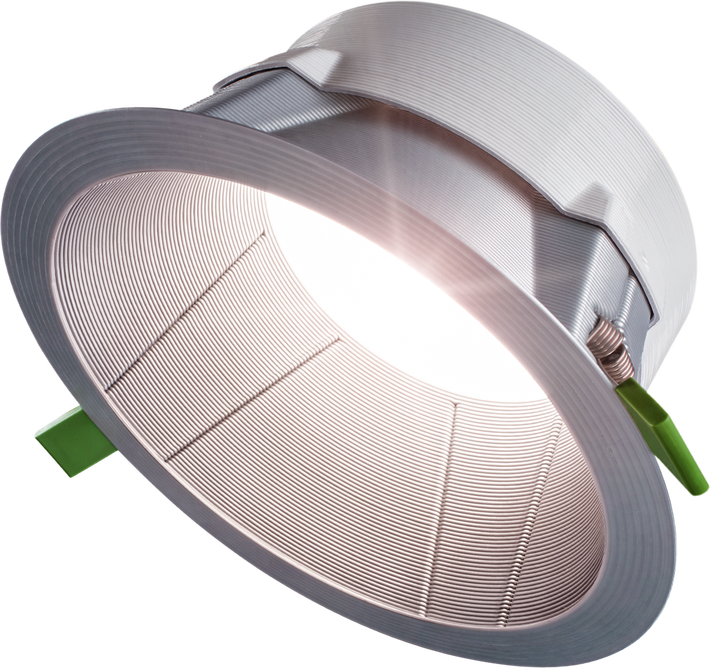 It is set to change the reputation of the LED luminaire from a disposable object, into a customizable and sustainable product, with a high function value. 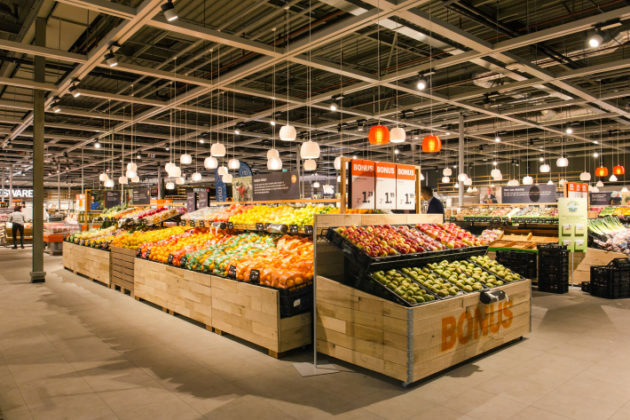 The LED market is currently mid-transformation, shifting its focus from energy efficiency to function values, therefore the timing of the project is perfect! 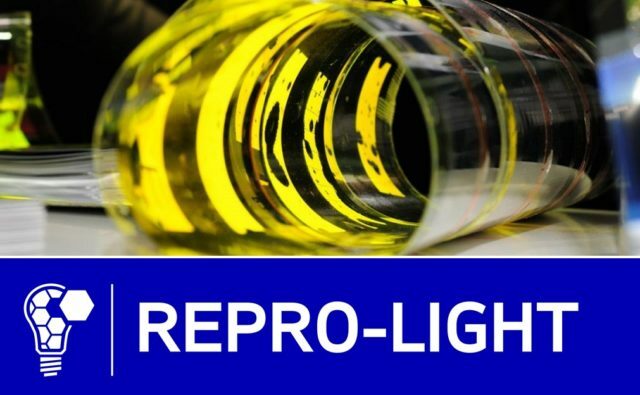 The need for projects like Repro-light has been highlighted over the last years by leading lighting experts and institutions. Now, some of these thought-leaders join forces in the Repro-consortium. It includes several leading European manufacturers such as TRILUX, BJB, Ground Zero, and Rohner Engineering. The Consortium is compromised of EU Lighting Industry Leaders and Institutions. 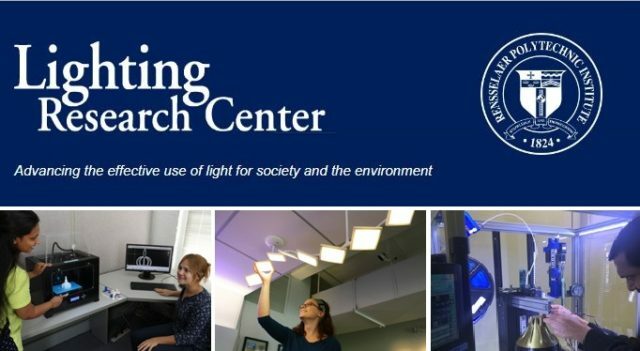 In addition, it contains remarkable innovative members of the lighting industry as Bartenbach and Luger Research, as well as experts on lighting sustainability and Life Cycle Assessment IREC and Mondragon University who are prominent in Social Sciences. The project’s first phase is underway. This initial phase of work will focus on analysing the customer needs and technical requirements. This information is vital for the following project stages, the initial phases finishing by March 2018. 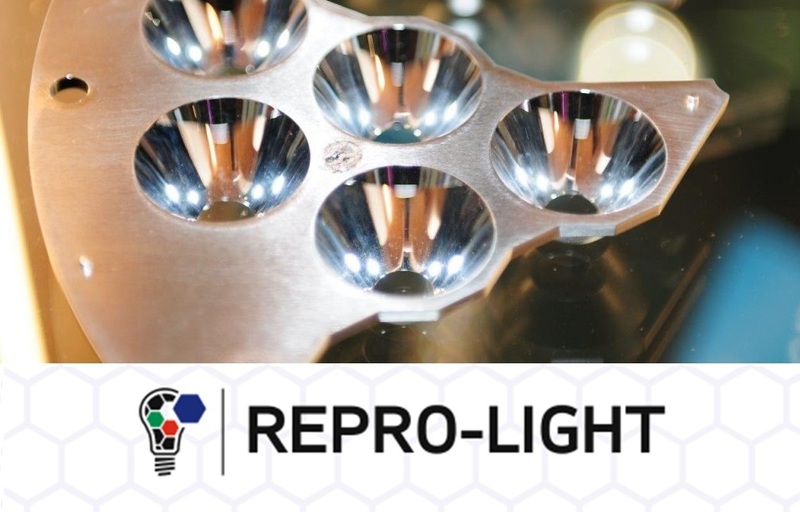 To receive updates on the project progress, to receive additional information about Repro-light or to learn about its partners, please visit the website. We at 3DPrinting.Lighting strongly believe there is no future for the lighting industry without incorporating 3D printing in product design, development and operations, so we’ll be following the project updates with great interest and inform you once interesting developments come to pass. Stay tuned!